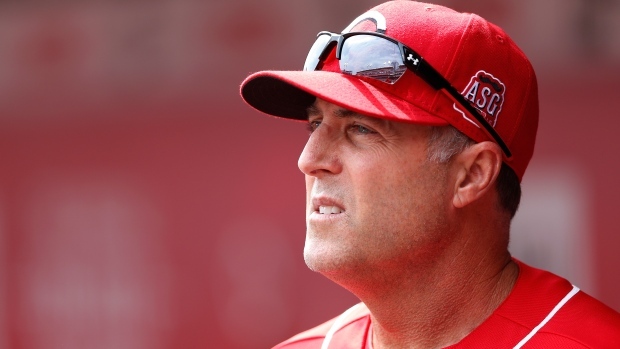 MILWAUKEE - Cincinnati Reds manager Bryan Price went on a profanity-filled rant during his pregame meeting with media Monday, taking exception with the way his team was being covered. Price was particularly upset with a Cincinnati Enquirer writer who reported catcher Devin Mesoraco was not available for Sunday's loss to St. Louis. The manager felt such reports give opponents an advantage. Price's tirade lasted more than 5 1/2 minutes and came before the Reds beat the Milwaukee 6-1 Monday night to end a four-game skid and improve to 6-7. "I don't understand what the importance is for everybody to know if we have a player that's not here," Price said, according to a transcript on Cincinnati.com. "We don't benefit from the other teams knowing we don't have a player. It does — you don't have to be a Reds fan, but it doesn't help us if our opponents know who is here and who isn't. That's what I want to know." Through the team's Twitter account on Tuesday, Price said his language was "wholly inappropriate" but that he wasn't backing away from his message.